A companion publication, Occupational Outlook Quarterly, provides information helpful to people making decisions about careers. The current issue, Winter 2013-14, explains how the occupational projections were derived and provides easy to understand tables and graphs. Career counselors can learn a lot about what’s expected to happen in the economy, industries and occupations from this issue. As the U.S. economy has changed, so has the content of the handbook. Since the 1950s, the U.S. economy has become less manufacturing-oriented and more service-oriented, so service occupations have taken more space. As new occupations have emerged, the handbook has captured those changes. In 1951, the first computer was installed for commercial use. By 1959, the handbook contained information about a new occupation — computer programming. In 1995, it added Web masters, Web page designers and other Web-related occupation. In the past few years, emerging occupations included multimedia and animation specialists, geographic information systems technicians, data security engineers and analysts and health care utilization review coordinators. As soon as the handbook is completed, the state workforce agencies start making industrial and occupational projections. Late this year, the Idaho Department of Labor will release statistics about projected job openings in hundreds of occupations in the state. Information from these projections, the annual occupational wage survey conducted by the department and the handbook are included with other information about occupations and education and training programs in Idaho Career Information System. 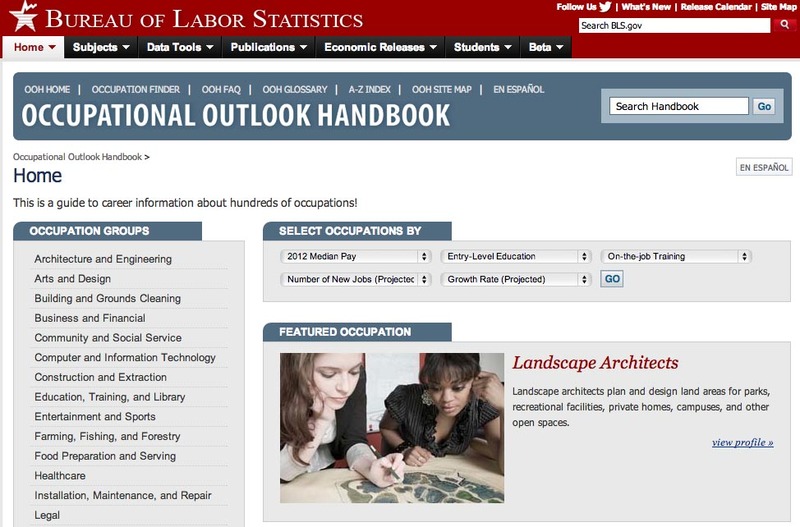 For occupational projections, go to the department’s labor market information’s Occupation & Industry Explorer. For wages, go to Wages by Occupation section.